The 2019 Oscars are just four weeks away, and though the ceremony will apparently go hostless, it now has a dazzling list of nominees competing to take home the coveted golden statues. Announced by Kumail Nanjiani and Tracee Ellis Ross on Tuesday, January 22 in Los Angeles at the Academy of Motion Picture Arts and Sciences' Samuel Goldwyn Theater, the nominees for the 91st Annual Academy Awards include frontrunners like Bradley Cooper's A Star Is Born, the divisive Queen/Freddie Mercury biopic Bohemian Rhapsody, Alfonso Cuarón's captivating black-and-white foreign-language drama Roma, Yorgos Lanthimos' period comedy-drama The Favourite, and the Peter Farrelly-directed based-on-a-true-story pic Green Book. 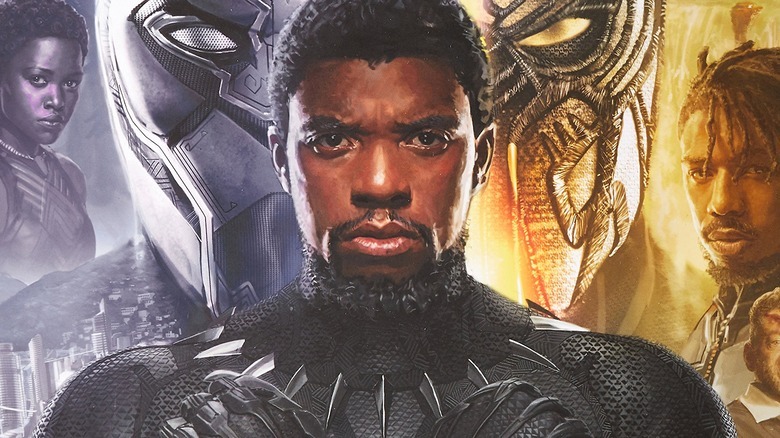 Marvel Studios' Black Panther was richly recognized, earning nominations for Best Picture, Sound Editing (to Benjamin A. Burtt and Steve Boeddeker), Sound Mixing, Production Design (to Hannah Beachler), Original Score (to Ludwig Goransson), Original Song ("All The Stars" by Kendrick Lamar and SZA), and Costume Design (to Ruth E. Carter). Should the Ryan Coogler-helmed flick beat out its competition in BlacKkKlansman, Bohemian Rhapsody, The Favourite, Green Book, Roma, A Star Is Born, and Vice, the Academy would make history, as Black Panther would become the first superhero movie to win Best Picture. The organization already has done something unprecedented by nominating Black Panther for Best Picture, since no other superhero film has scored such an honor, but the movie actually winning the Oscar would take things to a whole new level. Elsewhere in the superhero realm, Avengers: Infinity War walked away with one nomination, for Visual Effects. If Black Panther loses out to Roma, it would mark the first time that a Netflix film won an Academy Award for Best Picture. Roma already represents the first Best Picture nominee from the streaming service, and co-leads the 2019 Oscars nominations list with 10 nods — including ones for Best Director, Best Foreign Language Film, Sound Editing, Sound Mixing (to Sergio Diaz and Skip Lievsay), Lead Actress (Yalitza Aparicio), Supporting Actress (Marina de Tavira), Original Screenplay, Cinematography, and Production Design. Also at the head of the pack is The Favourite, which scored 10 nominations, and A Star Is Born, which scooped up eight. Ironically enough, while Cooper directed the film to those many nods, he himself didn't earn one for Best Director. However, he did score an Oscar nomination for Best Actor for his performance as alcoholic singer-songwriter Jackson "Jack" Maine opposite Lady Gaga's Ally Maine, though we aren't certain that will soften the blow of getting snubbed in the directing category. In the same vein, Black Panther director Ryan Coogler and Green Book helmer Peter Farrelly failed to score Best Director nominations, as did If Beale Street Could Talk director Barry Jenkins and First Reformed filmmaker Paul Schrader. Sadly, the Academy turned its cheek to female directors this year, not nominating a single woman for Best Director. Only five female filmmakers have earned Oscar nominations in that category in the history of the Academy Awards, and only one – The Hurt Locker director Kathryn Bigelow — has ever won. Christian Bale, Bradley Cooper, Willem Dafoe, Rami Malek, and Viggo Mortensen were nominated for Lead Actor, but BlacKkKlansman star John David Washington wasn't recognized for his incredible turn in the Spike Lee flick. And while Saoirse Ronan earned a nod for her performance in Mary Queen of Scots, her co-star Margot Robbie didn't score one for Supporting Actress. Mary Poppins Returns picked up a bevy of Oscar nominations for the 91st annual ceremony, but lead actress Emily Blunt didn't earn one for her portrayal of the titular magic nanny. Blunt also failed to score nominations for her performance in A Quiet Place, which the Academy nominated for Best Sound Editing. Also left out of the 2019 Oscars running were hopefuls Won't You Be My Neighbor?, Beautiful Boy, Crazy Rich Asians, The Rider, Boy Erased, Eighth Grade, Sorry to Bother You, Widows, and Three Identical Strangers, one of the most underappreciated movies of 2018. Find the complete list of nominees for the 2019 Oscars below. Tune into the 91st Annual Academy Awards on ABC on Sunday, February 24.